Kids love notes from home. They love to open their lunchbox and have a reminder of home. 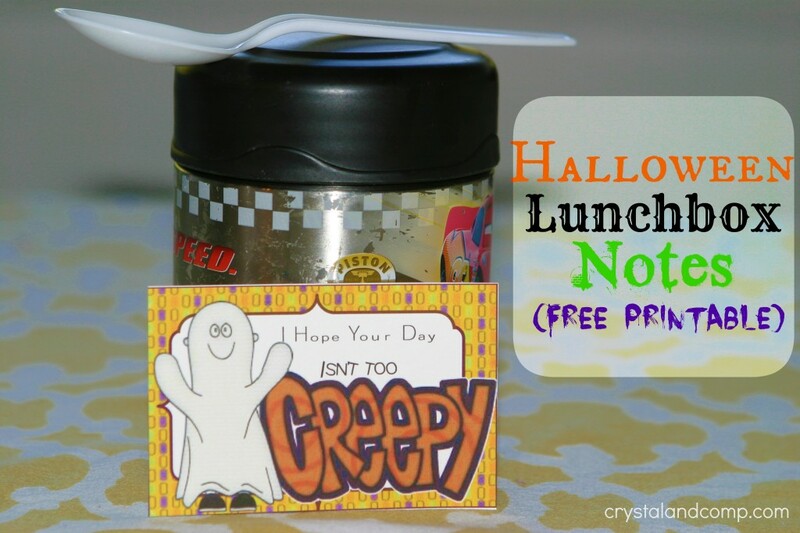 My friend Kelli from 3 Boys and a Dog made some precious Halloween themed lunchbox note cards that are printable and perfect for brightening up your little ones day! She can customize deign work for you as well. Most projects are $5 a page. 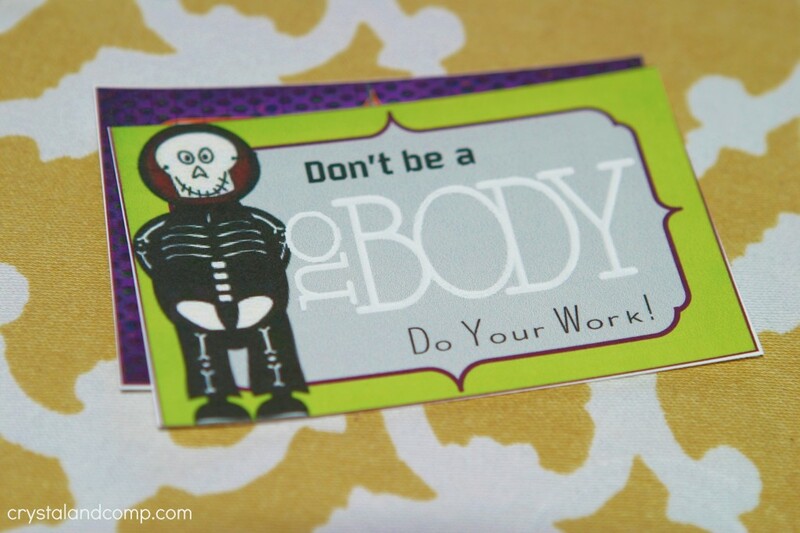 You can also click on any of the pictures in this post to get the printable. Here is what the sheet of cards looks like. 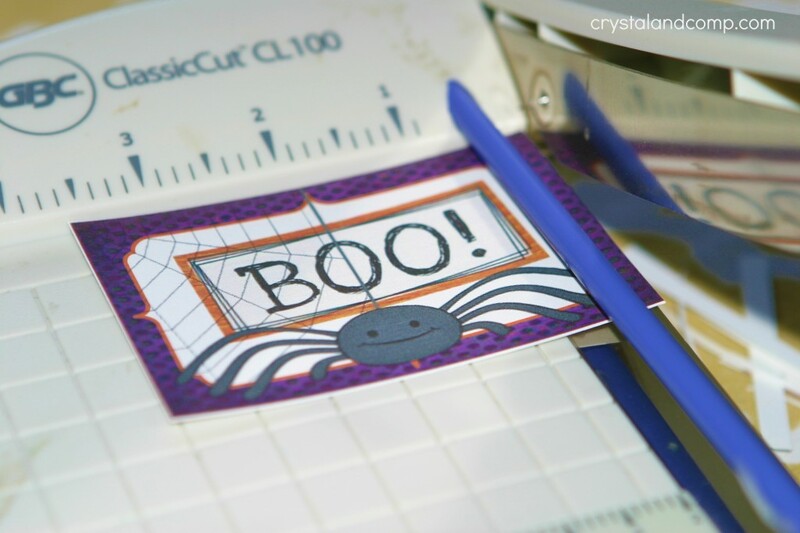 Use a paper cutter to cut them out. Some notes have riddles, some have sweet messages, and some are just silly. 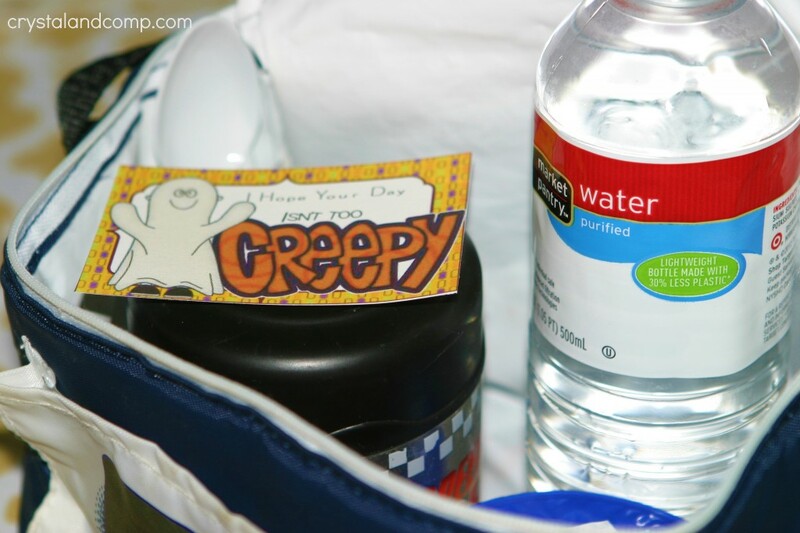 Pack your little ones lunch and you have a different note card for eight days. 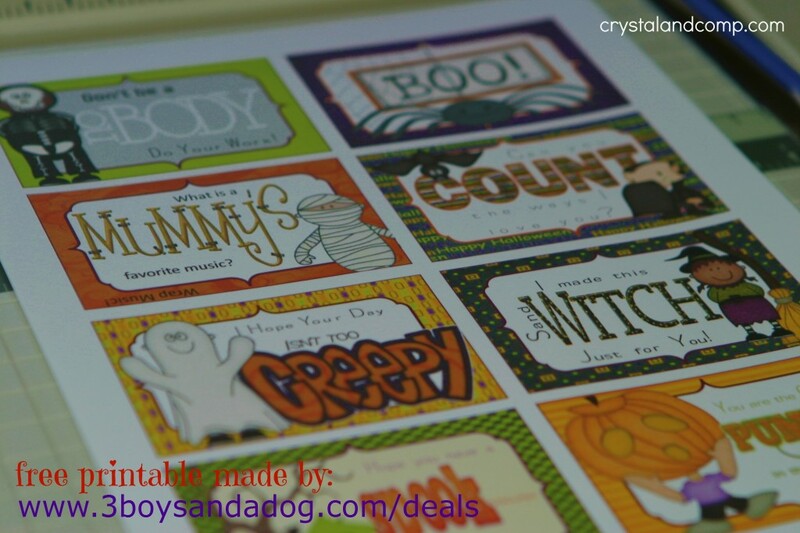 Check out more of my Fall craft ideas and here are some Fall Lunchbox Cards my friend Kelli from 3 Boys and a Dog has on her site. OMG… these are AWESOME!! I can’t wait to use these in the kids lunches! You are so talented and come up with such great ideas! Love you and your blog! Keep sharing! These are great! I’ll have to save them for when my daughter is older…wonder if my husband would appreciate them in his lunch?! 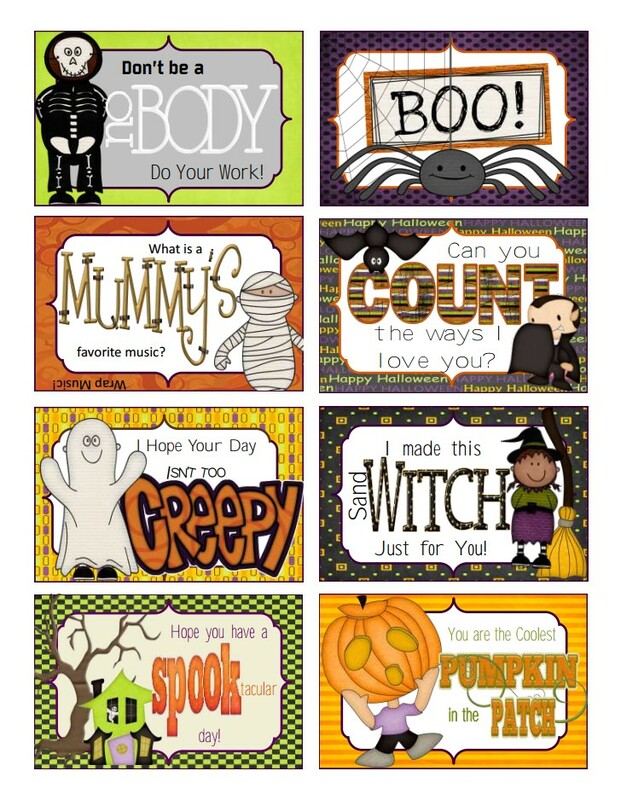 I’d love for you to share them at Freebie Friday on my blog! Packing them in your hubby’s lunch would rock! Too sweet. How sweet are these! Cute! And how nice that they’re free! I’ve pinned them for later. Thanks for sharing! Stopping by from the Hip Homeschool Hop! Thanks so much for your sweet words, Jessy! Deb- thanks so much for sharing the links with your readers. You rock! So cute! Thanks for sharing them, I know my kids will love getting these in their lunchboxes! These are so fun! I’m following you now too – come visit! These are so amazingly cute! I love them! Thank you! Your little ones will love seeing them in their lunchbox! Thank you for these. LOVE them!!! What a cute idea! I’m sure kids will love this! Thanks for sharing! I’d love for you to come join our Halloween Party!!! Love this idea! I am featuring it on the After School Linky this week! Thanks for sharing. Awe, thanks Kim! I am off to check out the roundup collection! Love your site!! Shared tweeted and more! Thanks for sharing. Starting my own blog soon would love to get together later!